From wasteful packaging to drinking straws, and the plastic we're actually eating. We hope you recycle. (We really do.) But there are many, many people who think nothing of tossing their water bottles and single-use food containers into the trash. In fact, a recent study shows we have produced 18.3 trillion pounds of plastic products since 1950—a whopping 13.9 trillion pounds have ended up as waste, with only nine percent recycled. You might call that a plastic crisis. And you'd be right. A study, published last week in the journal Science Advances, shows if we continue on this track, 21.7 trillion pounds of plastic waste will be in landfills or our natural environment by 2050. Of course, part of what's driving all those plastic pieces into trash cans across the country is the food industry. As the study notes, plastics are most frequently used as packaging. And all it takes is a scan of any grocery store shelf or refrigerator to see how widely plastics are used in serving and shipping food everywhere, to and from stores and restaurants and in our homes. Here's what you need to know about the plastic crisis, and what the food industry is doing about it. Remember how we told you that pounds and pounds of plastic are making their way into our oceans? Well, from there, they're making into the bodies of fish—and then into our bellies. Another recent study found that some five trillion microplastics are floating around our oceans and being eating by fish. As a result, we ourselves eat an average of 11,000 microplastics each year. And at this rate, the study shows, we'll be ingesting an average of 780,000 microplastics a year by 2100. Now that's scary. Another thing we eat that comes from the ocean and contains plastic? Salt. That's right: those white flecks on your food are part salt, part plastic, another study found. Scientists dissolved several brands of salt in water, and analyzed the 72 particles left behind. They found that 47 of those particles were either plastic or plastic pigments. Berkeley is doing its part to cut back the city's plastic use: earlier this year, the city considered a proposal that would ask bars, restaurants, and coffee shops to swap plastic straws for compostable or reusable options—a plastic straw ban, if you will. Berkeley estimates Americans throw out some 500 million plastic straws each year. 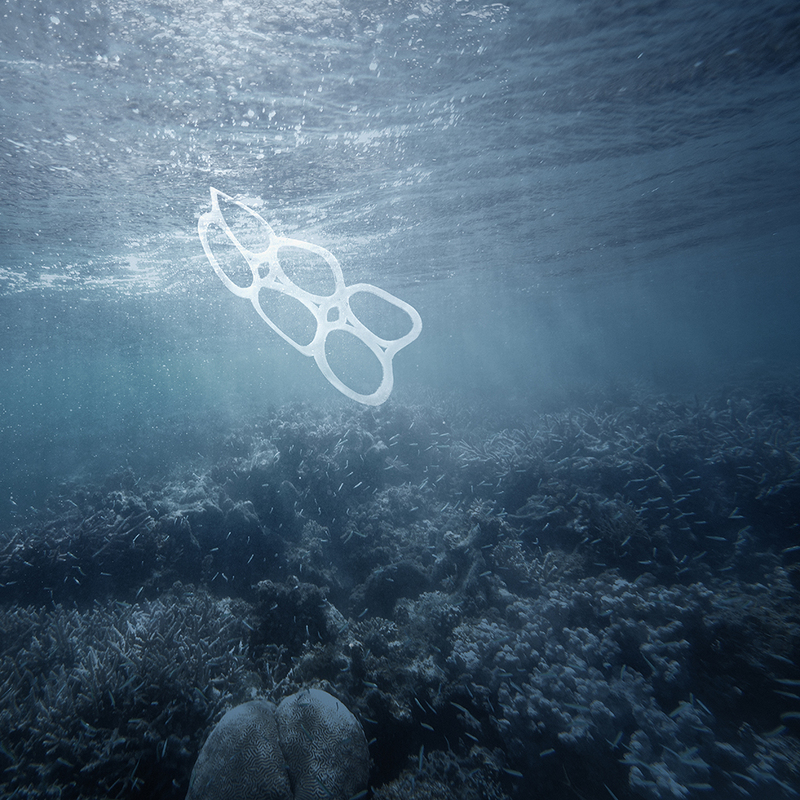 Six packs of (canned) beer are often held together by plastic that—surprise!—ends up in landfills or in the ocean. But one brewery is out to change that. Delray Beach, Florida-based Saltwater Brewery has created edible rings for their beer six-packs. The rings are made from byproducts of the beer brewing process, such as barley and wheat. In other edible news, another company is fighting the plastic crisis by developing edible spoons, sporks, and chopsticks. Called Bakeys, the edible utensils are made from millet, rice, and wheat flours and come in flavors such as sugar, ginger-garlic, and carrot-beetroot. You can buy the utensils directly online—in quantities of 100 or more—on Bakeys' website. Looking for another plastic alternative? U.S. Department of Agriculture scientists have developed an edible cling wrap made from casein, a protein found in milk. You can't buy this new, cool cling wrap in stores just yet, but keep your eyes peeled. If you don't want to wait for edible cling wrap to hit store shelves, there are plenty of easy swaps you can make yourself when you head to the grocery store. 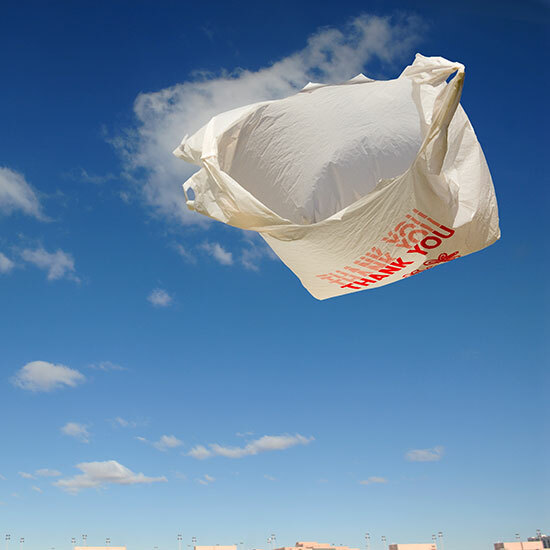 One of the simplest ways you can reduce your plastic footprint while grocery shopping is to carry a reusable bag to the store with you. Here are some of our personal favorites. And there's hope for the future—in the form of worms. (Yep, you read that right.) Another recent study found that worms are capable of degrading polyethylene plastic. Of course, these aren't just any worms, so don't go tossing your plastic bottles into your backyard just yet. These are wax moth larvae, which have enzymes that break down plastic in the same way they break down beeswax. If we can replicate those enzymes and make a plastic-eating bacteria, the scientists think, we might be able to fight our plastic problem at the landfill level. That's good news.